With our latest update to Profit Rhino, we've released new and improved PDF templates. These new Templates will give your customers a cleaner or more straight forward presentation of the service work you will be performing for them. You will now be able to show more information per page as well as choose to attach your option data easily for later reference. 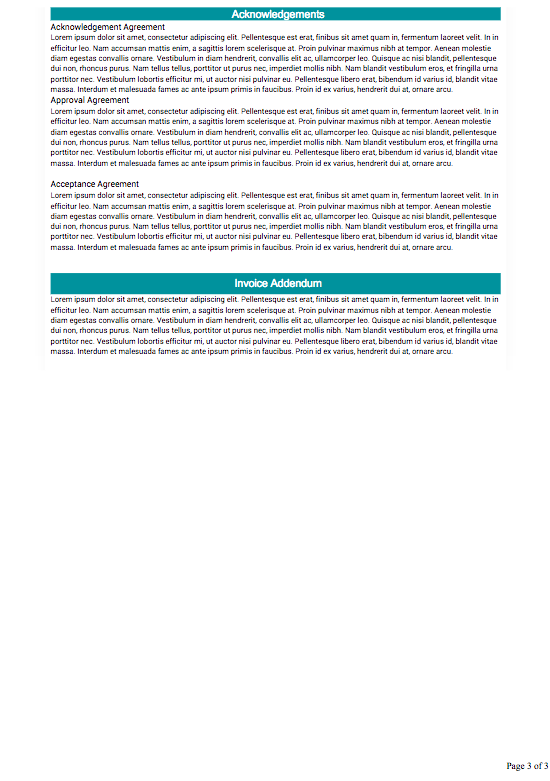 The new templates are meant to make the presentation of information more straight forward as well as ascetically pleasing. you should also notice some performance gains in the time it takes to generate and send these new templates. 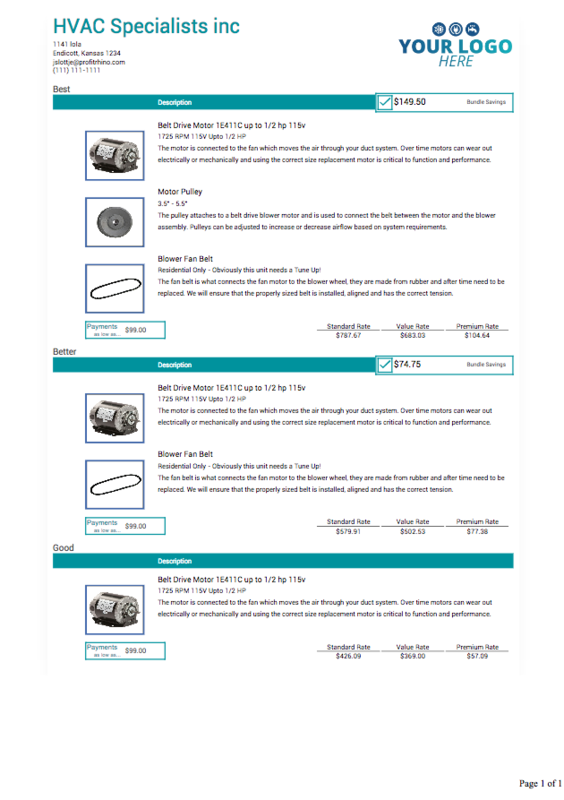 We have also added a new section along side your work order totals to allow you to upload your own custom promotion logo to help inform your customer on current offers or service agreement plans that you have available. Payments Show nicely below your total section. Your customers will now be able to see a detail of approved or failed payment methods used on the work order. 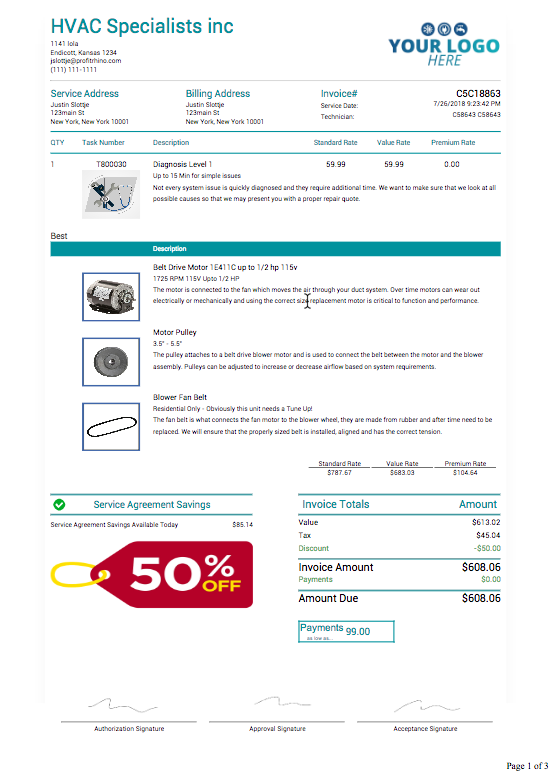 The new invoice template also has sections to show your invoice addendum and acknowledgement text at the end of every invoice you technicians create. This information is editable in the Profit Rhino web application. The Option cover sheet is a clean way to present large service or install solutions on a single page. 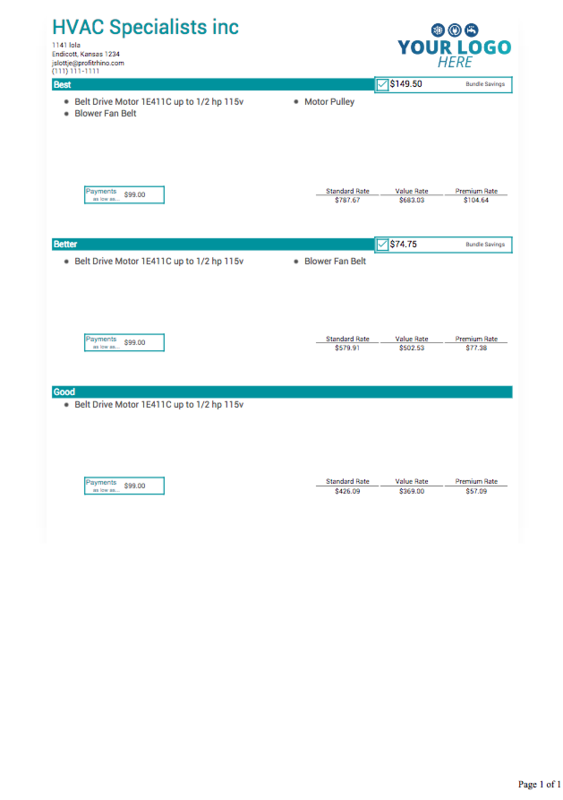 These will generate when more than 3 options are used on the quote/invoice. Next, The option Sheet is a detailed presentation of the option board offering to give your customer more information on the solutions that you recommend.